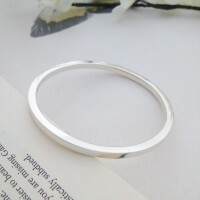 The Malia Small Oval Section Bangle is a smooth, round plain bangle that looks and feels amazing on! 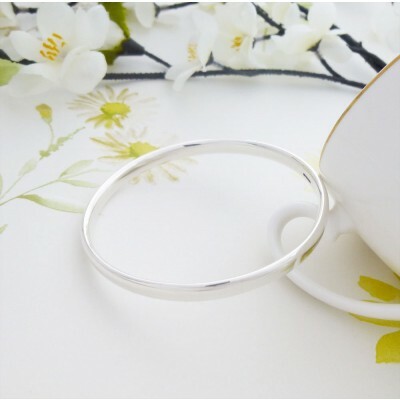 The oval cross section of the Malia Bangle creates a soft, elegant and very attractive bangle! 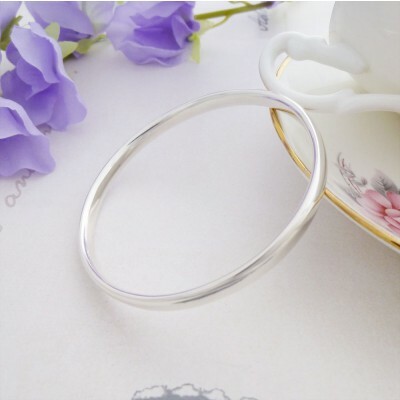 The Malia Small Oval Section Bangle has been hand crafted in the West Country and is made out of solid 925 sterling silver. 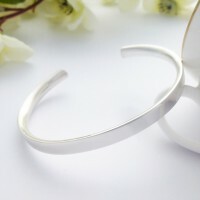 This bangle would make a lovely gift for ladies of all ages as it is a quality plain sterling silver bangle that will be adored and worn time and time again. 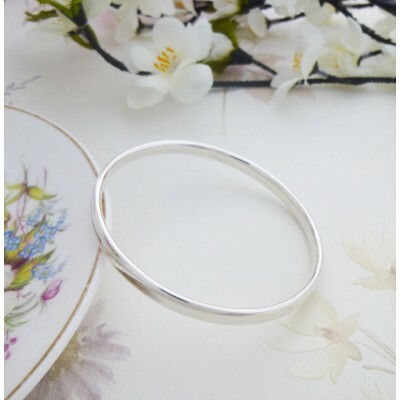 The internal diameter of the Malia Small Oval Section Bangle measures 61mm and the thickness of the Malia measures approximately 6mm wide. 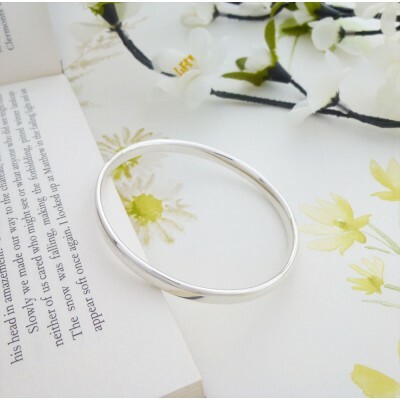 Subject to availability, the Malia is available in small wrist, regular wrist and large wrist sizes. 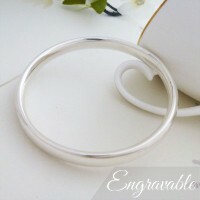 The Malia has an oval shaped section that is 6mm wide and 3mm deep.